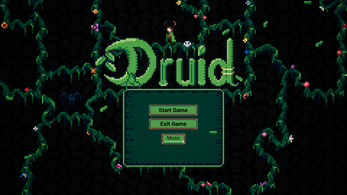 Druid was created for Week 33 of the Weekly game jam! 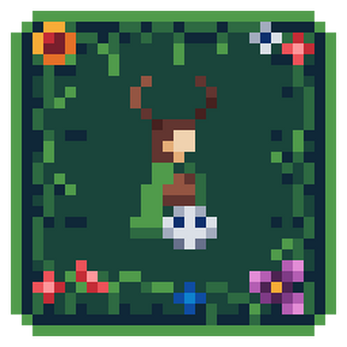 It is a top down pixel art shooter based on chaining your attacks by marking ghosts and wiping them down! Larger mark chains result in higher damage per target and also multiply your points. TeuFox (Joel Aubut) : Coder. Arden Winter : Music and Audio. 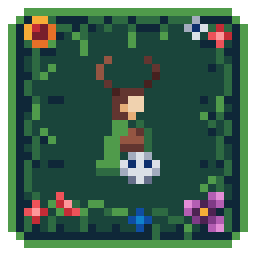 SomeFarang (Jack Pressnell) : Pixel Artist. Feature request and community visions!